Some years back I wrote a very critical post about the libertarian anarchist Murray Rothbard for the old Right Reason blog. Professor Gerard Casey of University College Dublin has just published a response in Libertarian Papers. My original post is archived here, at the Wayback Machine. But since Wayback Machine links can be temperamental, especially when faced with heavy traffic (as this one seems to be this morning, after Casey’s article was posted) I’m re-posting my piece below. It’s from April 25, 2006 and refers back to several earlier RR posts which are also archived at the Wayback Machine, for anyone who is interested. Casey’s reply is here (where you will find an abstract followed by links to two different electronic versions of his article). I’ll post a response when I’ve had a chance to read it carefully. Murray Rothbard was an influential proponent of an extreme version of libertarianism known as anarcho-capitalism, according to which all taxation is theft and government per se is intrinsically evil. In several recent posts I have expressed a low opinion of Rothbard as a philosopher, and some Rothbardians think I have been unfair to him. In this post I want to examine a typical piece of Rothbardian philosophical argumentation, which I think will show that my estimation of his philosophical skills is warranted. The example is “typical” in three senses. First, it concerns the very foundation of Rothbard’s moral and political philosophy, rather than some peripheral matter about which a lapse in argumentation could easily be excused. Second, it is an argument that Rothbard repeated in several contexts in virtually the same form over the course of many years, so that it is obvious that he regarded it as a good one. Third, it seems to me to be exemplary of the degree of precision, depth, and detail that characterize Rothbard’s arguments in moral and political philosophy in general (i.e. not a very high degree at all). If Rothbard was capable of giving an interesting philosophical argument, then, we would naturally expect to find one here, and yet (as we will see) we don’t. While I do not claim that this one example decisively establishes Rothbard’s philosophical mediocrity all by itself, I do think it provides a pretty strong indication. And I also think that anyone who reads further in Rothbard’s work will find that it doesn’t get any better. 1. Even if it were true that “each individual must think, learn, value, and choose his or her ends and means in order to survive and flourish” and that “the right to self-ownership gives man the right to perform these vital activities without being hampered and restricted by coercive molestation,” it just doesn’t follow that anyone has a right to self-ownership. For all Rothbard has shown, we might also be able to think, learn, value, etc. even if we didn’t have any rights at all. (That X could get us Z doesn’t show that Y wouldn’t get it for us too.) Or we might need some rights in order to do these things, but not all the rights entailed by the principle of self-ownership. Or we might really need all the rights entailed by self-ownership, but nevertheless just not have them. After all, the fact that you need something doesn’t entail that you have it, and (as libertarians themselves never tire of pointing out), it certainly doesn’t entail that you have a right to it. For example, wild animals need food to survive, but it doesn’t follow that they have a right to it (indeed, Rothbard himself explicitly denies that animals can have any rights). Furthermore, why should we grant in the first place that “each individual must think, learn, value, and choose his or her ends and means in order to survive and flourish”? Children survive and flourish very well without choosing most of their means and ends. Some adults are quite happy to let others (parents, a spouse, government officials) choose at least some of their means and ends for them. Many physically or mentally ill people couldn’t possibly survive or flourish unless others chose their means and ends for them. Even a slave or serf could obviously survive and even flourish if his master or lord was of the less brutal sort. And so forth. And if surviving and flourishing are what ground our rights, how could we have a right to suicide or to do anything contrary to our flourishing, as libertarian defenders of the thesis of self-ownership say we do? Also, why should we grant that respect for each individual’s self-ownership really would ensure every individual’s ability to choose his means and ends, etc.? A leftist might argue that respect for self-ownership would benefit some but leave a great many others destitute and bereft of any interesting range of means or ends to choose from. Of course, there might be some way a Rothbardian could reply to these objections; I certainly don’t find all of them compelling. But the point is that they are obvious objections to make, and yet Rothbard doesn’t even consider them, much less answer them. Even a brief acknowledgement of some of these objections and a gesture in the direction of a possible reply might have been enough to make the argument minimally respectable, but Rothbard fails to provide even this. 2. The claim that there are “only two alternatives” to denying the thesis of self-ownership is just obviously false. Here are some further alternatives that Rothbard fails to consider: (a) no one owns anyone, including himself; (b) God owns all of us; (c) one class of people has a right to only partial ownership of another class (e.g. the former class has a right to the labor of the latter class, but may not kill members of the latter class, or refuse to provide for their sustenance, or forbid them from marrying, etc. ); (d) everyone has partial and/or unequal ownership of everyone else (e.g. everyone has an absolute right to bodily integrity, but not to the fruits of his labor, which are commonly owned; or everyone has an absolute right to bodily integrity, and an absolute right only to some percentage of the fruits of his labor, with the rest being commonly owned; or everyone has a presumptive right to bodily integrity, which might be overridden in extreme cases, with a right to a percentage of the fruits of his labor; or the weak and untalented have an absolute right to bodily integrity and to a large percentage of, though not all of, the fruits of their labor while the strong and talented have an absolute right to bodily integrity and to a much smaller percentage of the fruits of their labor; or the strong and talented, unlike the weak and untalented, have only a presumptive right to bodily integrity, which might be overridden if someone desperately needs an organ transplant; and so on and so forth). Alternative (b) was defended by Locke (for whom talk of self-ownership was really just a kind of shorthand for our stewardship of ourselves before God), and it would also have been endorsed by natural law theorists in the Thomistic tradition. Rothbard explicitly cites both Locke on self-ownership and the Thomistic natural law tradition, so this alternative should have been obvious to him, and yet he fails even to consider it. Alternative (c) was the standard view taken by defenders of slavery, most of whom would not have endorsed the unqualified ownership of other people implied by Rothbard’s alternative (1). One would think that Rothbard, who fancied himself a historian of ideas, would be aware of this, and yet here again he simply ignores what should have been another obvious possible alternative. Some version or other of alternative (d) is arguably implicit in the views of many leftists, very few of whom (if any) would really claim that all of us have equal quotal ownership of each other. At the very least, a minimally charitable reading of left-wing arguments about taxation and redistribution would acknowledge that this, rather than Rothbard’s alternative (2), might be what egalitarian leftists are committed to. But Rothbard fails even to consider the possibility. He suggests (later on in the argument, after the passage quoted above) that “communist” ownership by everyone of everyone would entail that no one could take any action whatsoever without the permission of everyone else, but while this might be true under option (2), it would not be true under the less extreme egalitarian possibilities enshrined in (d). Alternative (a) is one that Rothbard finally did consider – almost a decade after first giving the argument and after once again ignoring this alternative when repeating the argument in “Justice and Property Rights” – in a brief footnote in The Ethics of Liberty. (He attributes it to George Mavrodes, apart from whom, apparently, Rothbard might never have seen the obvious.) Rothbard’s reply to it is to say that “since ownership signifies range of control, this [i.e. no one’s owning anyone, including himself] would mean that no one would be able to do anything, and the human race would quickly vanish.” But the badness of this argument should also be obvious. While having ownership of something does imply having a range of control over it, having a range of control over it doesn’t imply ownership. I have a certain “range of control” over my neighbor’s flower bed – he couldn’t stop me if I walked over right now and pulled some flowers out of it – but it doesn’t follow that I own it. Animals have a range of control over their environment, but since ownership is a moral category implying the having of certain rights, and animals (by Rothbard’s own admission) have no rights, it follows that they have no ownership of anything. And of course, their lack of ownership of anything hasn’t caused animals as a whole to “vanish,” “quickly” or otherwise, which makes evident the absurdity of Rothbard’s claim that alternative (a) would entail the extinction of the human race. 3. Alternative (1) just obviously doesn’t imply that the members of class B are “subhuman.” Not all defenders of slavery have denied that slaves are fully human; their view is just that some human beings can justly be owned by other ones. Rothbard’s assertion that this “contradicts itself in denying natural human rights to one set of humans” is just blatantly question-begging, since what is at issue is precisely whether there are any natural human rights that might rule out slavery. 4. Rothbard’s claim that the “parasitism” entailed by alternative (1) “violates the basic economic requirement for life: production and exchange” is also just obviously false. Animals do not engage in “production and exchange,” certainly not in the laissez-faire economics sense intended by Rothbard, but they are obviously alive. In this one brief passage, then, Rothbard commits a host of fallacies and fails even to acknowledge, much less answer, a number of obvious objections that might be raised against his argument. Nor is this some peripheral argument, which might be written off as an uncharacteristic lapse. It served as the foundation of his entire moral and political theory, and was repeated several times over the course of a decade virtually unaltered. And if things are this bad in the very foundations of his moral and political theory, you can imagine how bad the rest of his philosophical arguments are. It is no defense of Rothbard to note that there may be ways for Rothbardians to try to surmount the objections I have raised. No doubt there are, but that is beside the point. What matters is that Rothbard himself never tried to surmount them, nor did he even consider them, even though they are extremely obvious objections. That is the mark of a bad philosopher. It is also no defense of Rothbard to suggest that he was better as an economist than as a philosopher. Perhaps he was – I’ll leave it to the economists to judge – but that is irrelevant since his moralistic stridency, and in particular his claims that government and taxation are inherently unjust (and not merely inefficient), could only be justified by philosophical arguments, not economic ones. And as I have argued, his philosophical arguments come nowhere close to justifying either the claims themselves or his unshakable confidence in them. I think I have a higher opinion of Rothbard as a philosopher than you do, but I do agree he could have done a better job responding to (or considering) counterarguments. In this respect he reminds me of Ayn Rand (whom he knew for a time). I have only read a little of Rothbard, so I may have gotten an unfair glimpse of his thinking, but: did he even consider the possibility of a God interested in His creation? Did he even think the question relevant to his "philosophy?" If so, how could Rothbard possibly NOT be aware of the theory in (b), that God owns all of us? 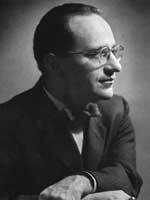 Rothbard was an atheist or agnostic, although in later years he became sympathetic to religion (he was never hostile). I think Rothbard's main flaw, by which you noticed inadequacies in his reasoning, was his belief in natural rights, which serves as a logical dead-end. In some ways, Rothbard improved on Mises, by including defense and security in the idea of a free market. In other ways, he was a step backward, in that he didn't realize that his arguments were ultimately utilitarian. Thanks for dealing with Rothbarth quite thoroughly. He offers some valid observations when it comes to economy - but even those have to be checked back against his weltanschauung. "[the unborn]...they still intrude on the mother's right to do whatever she wants with her body...". Libertarianism, leaving God out of the picture, shares with Liberalism this basic sin: deified and idolized Man substitutes the Allmighty. As a teenager, I was swayed to atheism by Ayn Rand's arguments. Over the course of two years, I gradually detected some of her flaws and stopped agreeing with her in toto, preferring Rothbard's worldview. I was a fanatical anarcho-capitalist. "Natural rights" had taken the place of religion for me. It provided me with dogma and something "holy." As a collegian, I took several philosophy courses and became more adept at b.s.-detection and asked myself one day, "Now why do I accept 'natural rights' again?" I pored over "For A New Liberty" again and found the crux of the matter, Rothbard's "self-ownership" case. I read it and reread it and searched the rest of the book and I said to myself, "That's it?" I immediately saw through it, and my primary objection was much like what you've said, that maybe the concept of anyone owning anyone is invalid, certainly one Rothbard never justified. I sat down hard, no longer believing in anything. The universe seemed empty. I no longer had a dogma. There were no natural rights. I had grown up and it hurt. It took me a long time to get up, as I no longer saw the point, but I realized I couldn't just sit there forever. I resolved never to believe anything again except simple, empirically verifiable truths, like "The cat is on the mat." I was a logical positivist for a year or two after that. I was so bummed. Glad to see someone else point out Rothbard's inadequacy. Edward--I wouldn't go so far as to call Rothbard a "bad philosopher." His view strikes me as extreme. Let's accept it as such. I certainly don't agree that "government per se is evil" for the same reason that guns don't kill people, people do. What's Rothbard talking about owning people in the first place for? That violates good common sense. He's simplifying things to get his point across, in fine. What you're so perspicacious with here is in citing numerous ramifications that Rothbard leaves out. OK, good. I admire the astute nature of that writing. Perhaps Rothbard didn't see the need for all those complexities entering the picture. That's all I see. Self ownership is axiomatical, because a person cannot do anything without owning himself. In fact the very fact that his body can only function if he is owning it - that is, in control over it - shows that self ownership is a prerequesite to life. "I have a certain “range of control” over my neighbor’s flower bed – he couldn’t stop me if I walked over right now and pulled some flowers out of it – but it doesn’t follow that I own it." You DO own it, by mixing your labour with it, you have ownership. The thief owns what he stole, aswell. Although in the flowerbed case it is illegitimate ownership, due to the lack of consent of your neighbour. I am reading your critiques of Rothbard with pleasure. I have been very uneasy about a lot of Austrian arguments about ethics. I find your writing extremely interesting; it is one of the reasons I am no longer a Rothbardian. However, I have a few questions about your theory of rights. You claim that we have property rights so that we can realize our purpose in nature and fulfil our obligations; therefore, we do not have a right to do anything contrary to our end as human beings. I know you do not support government intervention in order to remedy all immoralities, but I am still troubled by the implications of the theory. For example, such things as fast food and excessive sunlight can hinder our flourishing and interfere with our ability to fulfill our obligations. Do you therefore claim that we do not have the right to eat fast food or to take in more sunlight than is necessary? Is it merely a matter of prudence that governments ought not to prevent these things? Also, it is a non sequitur to claim that because something is bad for us, we have no right to it. You must first prove that we have an obligation to abstain from those things that are bad for ourselves. I agree with you that Rothbard’s justification of rights is weak; however, there are problems with your theory as well. Rothbard did not consider those alternatives because they fail the criterion of ethical universality which he strongly defends: an ethic for human being must be valid for all human beings all of the time. You would know that if you read the whole book The Ethics of Liberty.